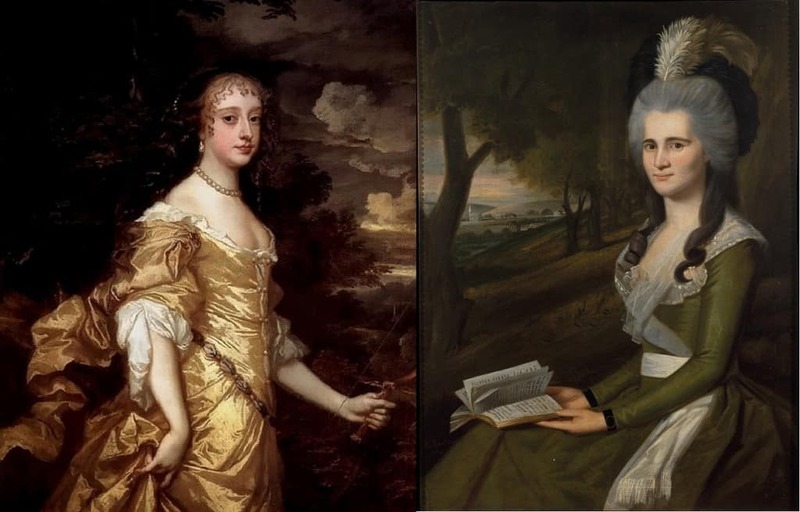 We’ve all seen our share of silly fashion trends during our lifetimes, but crazy styles are nothing new. When America was first being colonized by Europeans, the nobles back home across the pond were cooking up some pretty outrageous fashion fads. Historic A-listers put up with all manner of plucking and prodding, squeezing and strapping, gluing and overheating in the name of fashion. 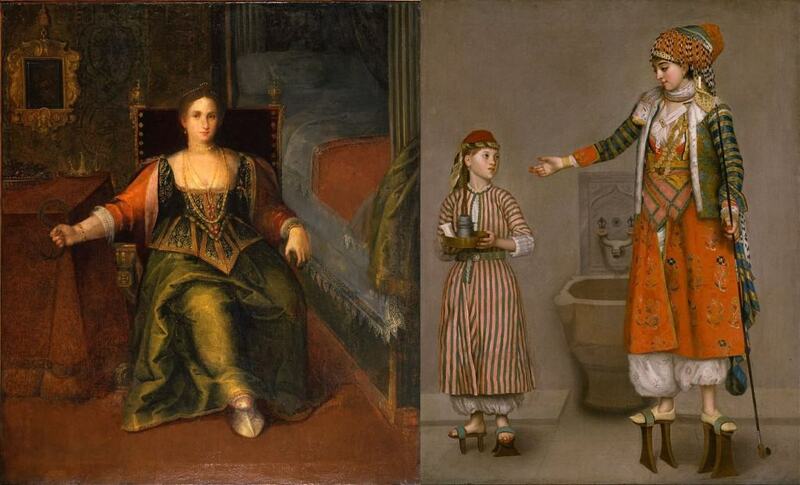 The notion of “beauty before comfort” was certainly at play, even 500 years ago. 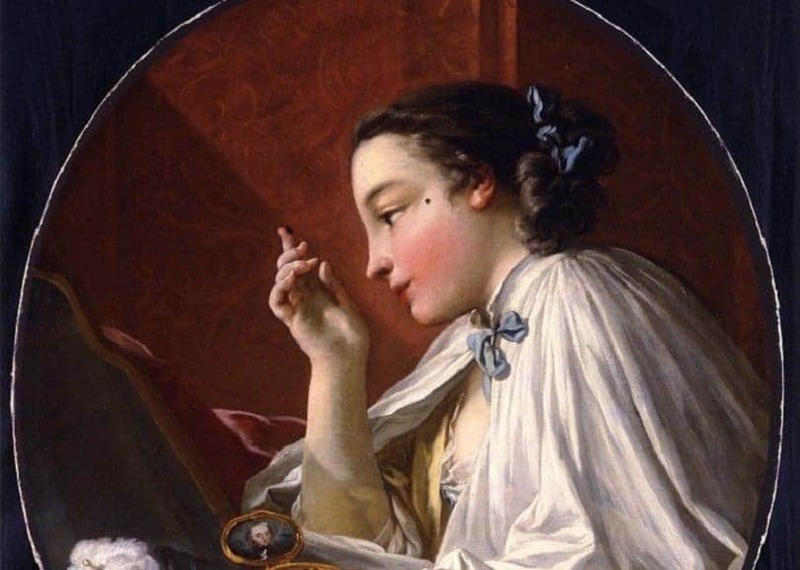 A forward-thinking, fashion-minded woman in 18th century Europe would know the importance of having up-to-date and beautiful eyebrows. To achieve the “in” look, women would pluck out their entire eyebrows and glue on false ones made of mouse skin. The mouse fur eyebrows would look especially striking against the pale face makeup that was also popular at the time. These Renaissance-era platform shoes could put many modern platforms to shame with their dizzying heights. Originally designed to help women navigate muddy streets without mussing their skirts, the towering sandals soon became a status symbol. Chopines could reach heights of 20 inches, and teetering slaves to fashion would often need attendants to help steady them as they tried to walk. Elizabethan fashionistas practiced the art of bombasting – that is, stuffing one’s clothing with lots of extra padding. Both women and men would stuff their sleeves until they resembled giant pork chops. Men would fill their doublets with stuffing to make their bellies look rotund, using up to six pounds of filler under their shirts. The bombast they used was made of cotton or horsehair or piles of rags, or even bran. 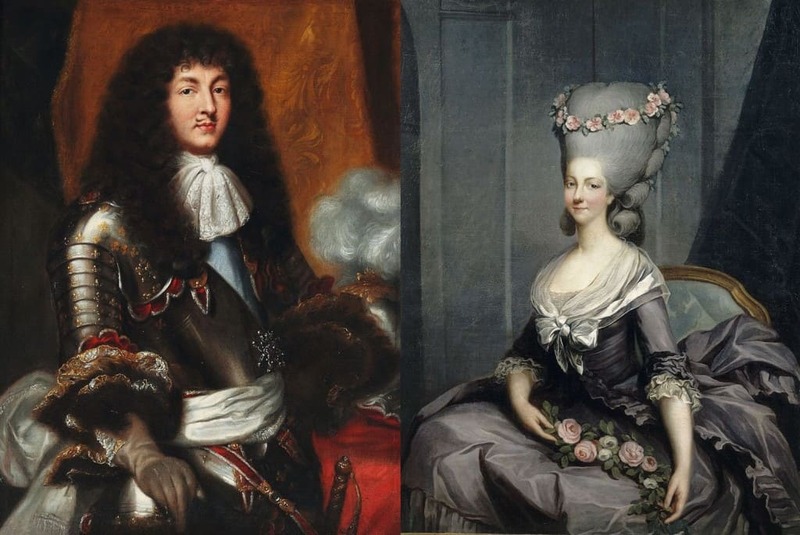 We can thank the balding King Louis XIII of France for kicking off the wig craze. The ever-larger wigs, also called periwigs, were fashionable especially for men in the 17th centuries. Periwigs were made of human or animal hair and often contained vermin like lice. Men would powder their wigs white, while high-class ladies would use hair extensions to bring their poufed-up coiffeurs to towering heights. 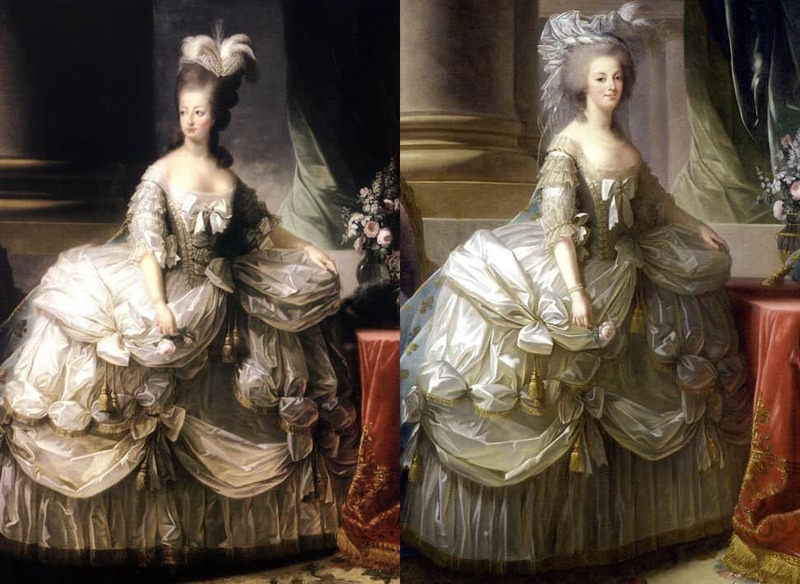 The imposition of a large wig powder tax in England alongside the guillotining action of the French Revolution put an end to the giant wig craze. 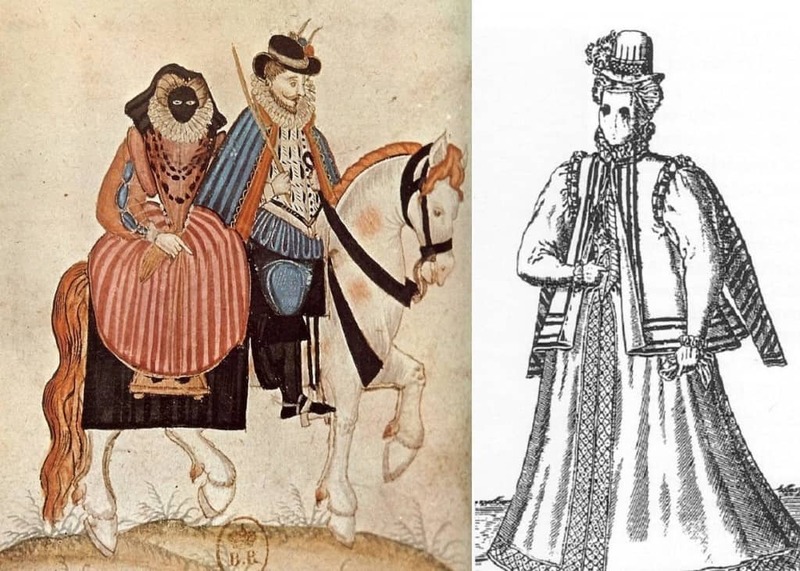 A visard (or vizard) mask was a featureless mask meant to protect a woman’s pale face from the sun while she traveled in the 16th century. The mask was held onto the face not by a ribbon or cord, but by a button or bead sewn into the inside of the mask’s mouth and held between the wearer’s teeth. The masks were often covered in black velvet and sometimes did not even have a breathing hole at the mouth. A visard mask caused a lady traveler to be mysterious, dour, silent, and possibly oxygen-deprived. While both Renaissance and modern corsets are built for support with free breathing in mind, there was a period during which the point of the corset was to squish the ribs and squeeze the waist into as thin a space as possible. Around the mid-19th century, a wasp-like waist came into vogue alongside the advent of steel boning for keeping a corset’s shape. 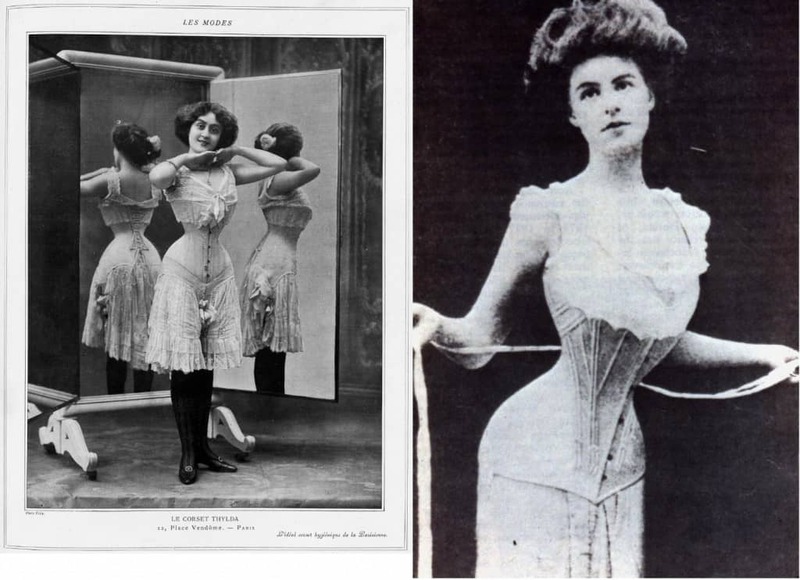 The “tightlacing” fad caused women to put up with indigestion, constipation and some slight displacement of internal organs, all in the name of fashion. Even men who aspired to be “Dandies” got into the corset-wearing act in the 19th century to help them fit into the tight trousers and jackets of the period. Men were generally teased back out of their corsets by the 1880s. Reaching maximum circumference in the mid-18th century, round hoop petticoats were sometimes replaced with side hoops, called “panniers,” which comes from the term for the big baskets slung over the backs of pack animals. These skirt supports could widen the hips by several feet on each side, causing a courtly lady to take up three times the floor space of a man. The extreme size of the “in” look posed a challenge whenever the wearer tried to walk in wind, get through a doorway or into a carriage, or, Heaven forbid, attempt to sit down. These stuffed effigies of male endowment evolved from simple pouch-shaped flaps meant to close the front of men’s hose. Much more grandiose codpieces became a fashion craze among well-dressed men in the 16th century. 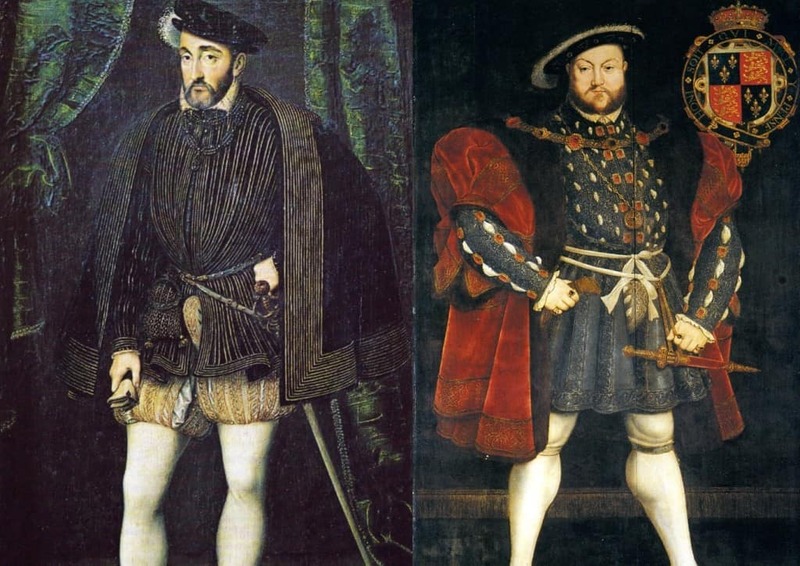 The Tudor codpiece was shaped, padded and boned to be a prominent feature of menswear, and was even included on suits of armor. Codpieces were often elaborately decorated and doubled as pockets, serving as a handy hiding place for some of the family jewels. 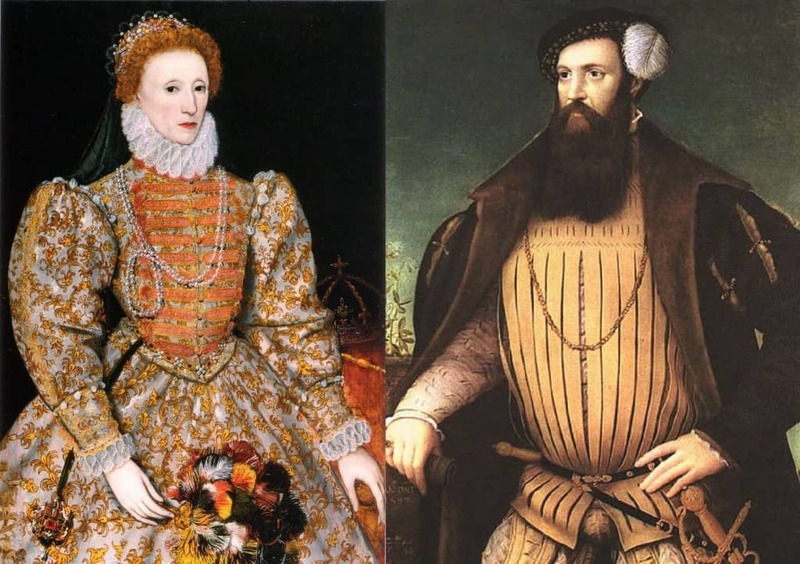 Starting out as simple ruffled collars, neck ruffs grew larger and stiffer until, by the late 16th century, they appeared more like giant frilly yokes than neck openings. The biggest ruffs extended to over a foot wide and required wire supports to hold them up. The many-layered, stiffly-starched ruffs would be laced closed around the neck and held in place with often hundreds of pins. 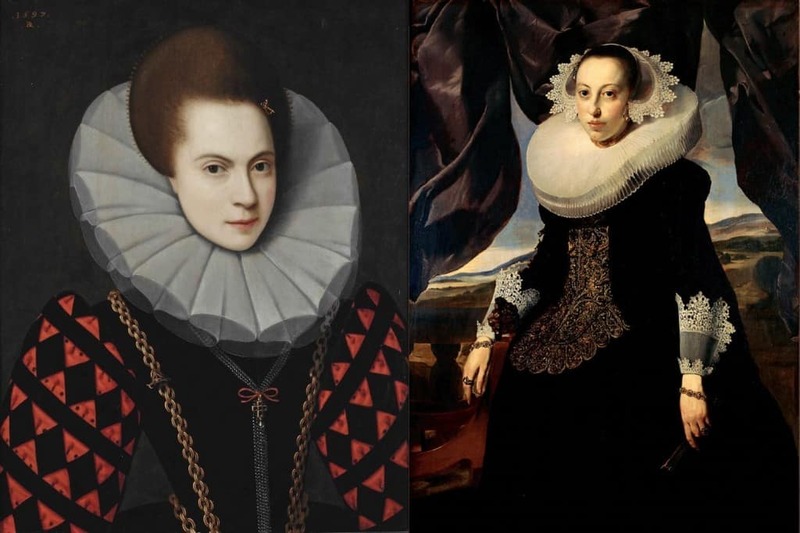 Frequently adorned with jewels or metallic thread, ladies’ ruffs were larger than men’s and typically encased the entire neck, chin, shoulders and upper chest. Patches were fake “beauty marks” made of velvet, silk or leather, affixed to the face with tree sap glue. While early patches were circular, after the fad spread like wildfire starting in the late 16th century, patches started appearing in shapes like stars, hearts, flying birds and sailing ships. Women would adorn their faces with multiple patches to accentuate different features or to send code messages. There was a whole system of symbolism by which a woman’s patch placement could indicate if she were feeling flirty or bold, actively seeking a date or already married or engaged. Ladies would carry little boxes of extra patches in case they lost one or decided to change their facial fashion statement on the go.